In the harsh, stormy waters of the North Atlantic between A.D. 750 and 1000, waves of peoples from Scandinavia—collectively known as the Vikings—sailed west in ships like this one to settle Britain, Iceland, Greenland, and even North America. They hopped from island to island and also observed the presence of birds near land and their migration patterns. 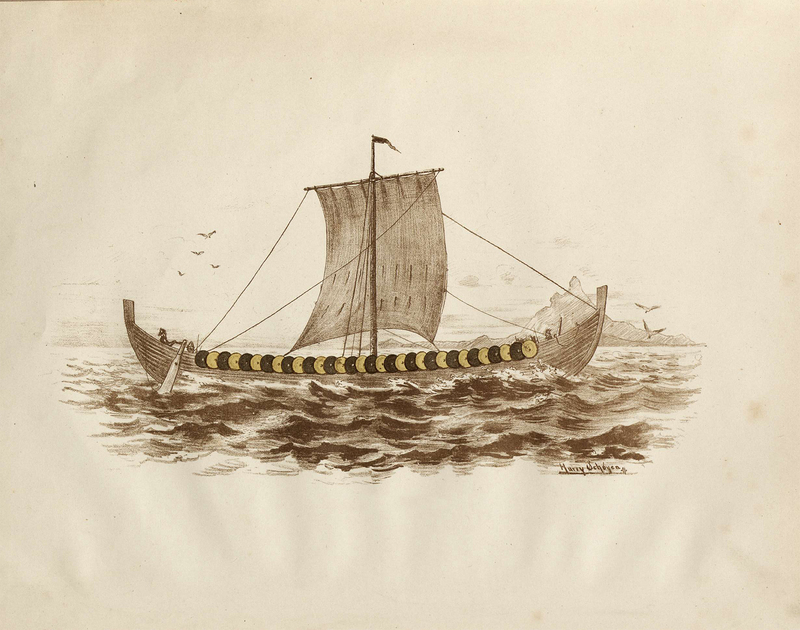 Ship pictured in “The Viking Ship Discovered at Gokstad in Norway Described by N. Nicolaysen,” 1882. Viking ship discovered in a burial mound at Gokstad, Norway.